Shiatsu - Does it work ? By admin , in Disc Degeneration Reasons of Back Pain Sciatica on April 9, 2019 . Zen shiatsu is the form most widely practiced in the West. It relies on a complex diagnostic system but uses largely the same acupoints as acupuncture and the same meridians, and aims to restore ki to normality. Namikosho shiatsu is less concerned with ki and meridians, relying on the rubbing and pressing techniques of anmo. It also takes Western ideas of anatomy, physiology, and neurology into account. Acupressure shiatsu, the last of the three forms, falls somewhere between the other two systems. Also called “tsubo therapy”—tsubo is the Japanese word for an acupoint—it concentrates on stimulating the relevant tsubos by means of massage, non-penetrating needles, electrical devices, and the application of heat. Many shiatsu practitioners also use healing techniques, such as visualizing the transmission of healing energy into the patient’s body, techniques derived from Western physical therapy, such as passive rotations and stretches, and general body massage. It may, but there is little scientific evidence to show that it does—a large-scale review of the available evidence in 2007, commissioned by the Shiatsu Society U.K., concluded that “there was insufficient evidence both in quantity and quality on shiatsu.” Nor is there any convincing evidence, in terms of Western science, that ki, meridians, and tsubos physically exist. But many people have reported an improvement in symptoms caused by muscle and joint problems after a shiatsu treatment session and feelings of stress-free relaxation. In general, shiatsu is very safe when performed by a trained shiatsuist but check with your doctor before visiting one if you are receiving any form of medical treatment. 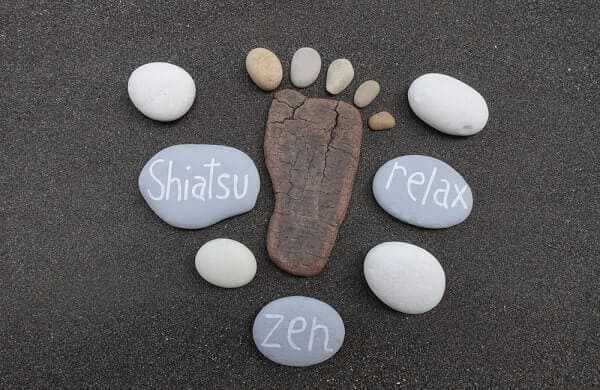 Do not have shiatsu treatment during pregnancy, since stimulation of certain areas can affect the womb. The shiatsu practitioner you choose depends largely on which system you find the most attractive. There are also a large number of sub-systems, each of which has its own diagnostic and treatment practices. So check what system your practitioner uses and ask for details of what type of diagnosis and treatment is on offer before you make your choice. Different states have different laws about the practice of shiatsu—as do many cities and counties. Many of them require a practitioner to be certified in massage therapy, which is highly regulated. Generally this is certified by The National Certification Board for Therapeutic Massage and Bodywork (NCBTMB), and you can find a practitioner on its website (www.ncbtmb.org). The only way to find out what laws apply in your area is to contact your local health board. Shiatsu s governing body is The American Organization for Bodywork Therapies of Asia (AOBTA). It has a Find a Practitioner page on its website (www.aobta.org). The information on these pages refers primarily to Zen shiatsu, since it is the most common form of the therapy. Clothes are worn throughout a session—ideally you should wear loose-fitting, light garments. You will usually receive treatment on the floor, lying on a futon or a thin mattress. DIAGNOSTIC TOUCH A shiatsu practitioner will first use touch to diagnose your problem in terms of shiatsu theory, and then will use pressure, massage, and manipulations to treat it. First, the practitioner will diagnose the overall state of your ki, take your medical history, and then make general observations through hearing, smelling, and visual clues. But a practitioner’s most important diagnostic tool is touch. Shiatsuists believe that several areas of the body form a map of the whole body, and that information about the state of ki in a particular organ can be gained by palpating the part of the map that relates to it. In the context of back problems, the most important map is of “yu” points (also known as “back transporting points”) alongside the spine, though the “hara” map of the abdomen is also important. The relative tenderness, softness, or hardness of the points in the relevant map is revealed by palpation, and gives the shitasuist information about the energy balance in different structures and organs. Wrist pulses may also be taken—there are different positions for each meridian. Treatment then starts, though diagnosis continues throughout the process as your responses to it are observed. Meridians are massaged using a variety of techniques, but there may also be more general muscle and joint mobilizations and stretches involving the whole body—not dissimilar to those used in physical therapy—as well as deep pressure techniques. Throughout, the shiatsuist will try to transmit healing energy to you and stimulate the your own self-healing capacity.